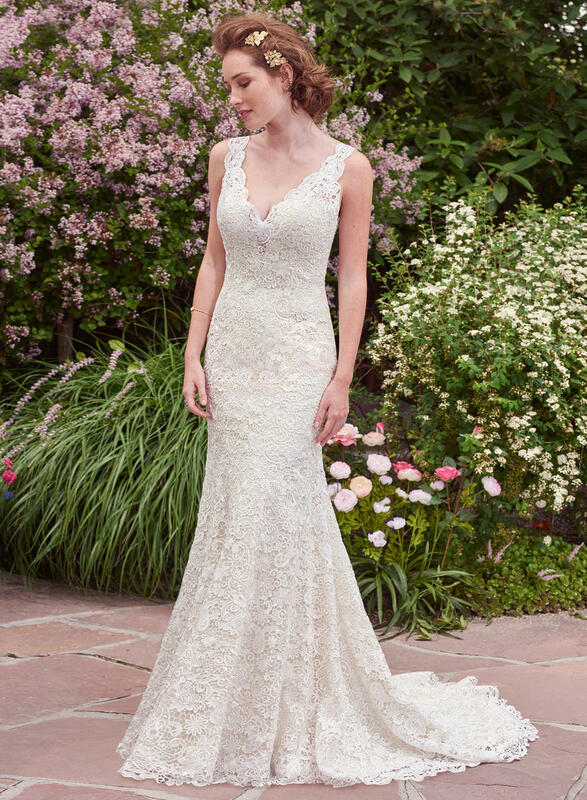 Romantic and vintage-inspired, this allover-lace fit-and-flare features an illusion plunging neckline and scalloped edging. A double-keyhole back adds a touch of alluring elegance. Finished with covered buttons over zipper closure.